Today there are dozens of companies offering security features for brand protection and document authentication. Most of these companies either sell low cost commodity ultraviolet & infrared pigments or costly esoteric security features like DNA tags or other molecular markers. Many of these companies sell to anyone who wants to buy with little regard for chain-of-custody or distribution channel control. 3DTL is different. We are first and foremost an authentication technology company. Our focus is on developing high security yet low cost security features for brand protection and document authentication. We continuously innovate by combining the best optical technologies from the telecommunications, optical data storage, and laser industries with our own inventions to develop small particle optical pigments using both advanced physics and chemistry. Most other companies in this industry are too narrowly focused and do not have the technical breadth required to stay one step ahead of the counterfeiters. Many end users falsely believe that their products or documents are secure when in fact the security features they are relying on are either broadly available or easily replicated. Unlike other companies, 3DTL also has the capability to develop fundamentally new security features on a contract R&D basis. Our proven capabilities in contract R&D may be why several of the largest and most innovate organizations in the banknote industry have chosen 3DTL to develop next generation security features for future banknotes. 3DTL is different in another important way. We believe in rigorously controlled deployment of our products. We go to market through commercialization partnerships and will not sell to anyone who wants to buy. All of our value added resellers and system integration partners have been strictly qualified and must add significant value to our products before entering the security industry value chain. 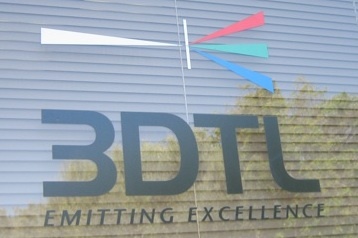 If 3DTL sounds like the type of company you would like to work with, please contact us at your convenience. We believe that you will find why other companies in the security industry have come to realize that our tag line applies to both our company and our products.